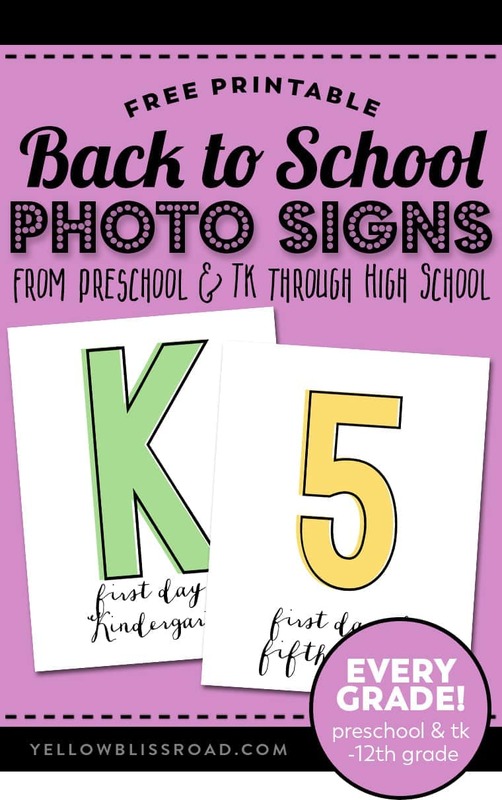 If you take photos of your kids on the first day of school, you’ll definitely want to download these FREE PRINTABLE First Day of School photo props and a! 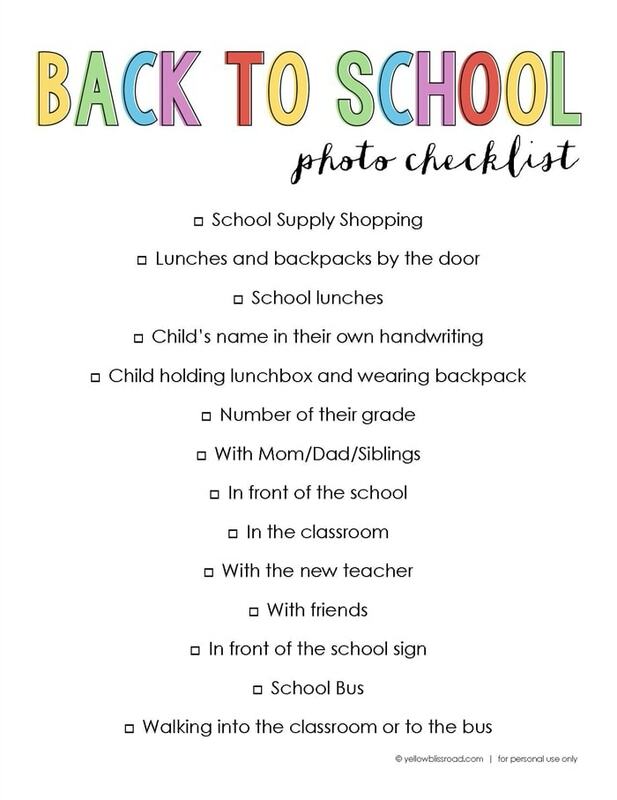 There’s also a printable Back to School Photo Checklist with lots of fun and adorable ideas for your back to school pictures. *Graphics have been updated for 2017. Looking for the LAST DAY OF SCHOOL version? Print them HERE. 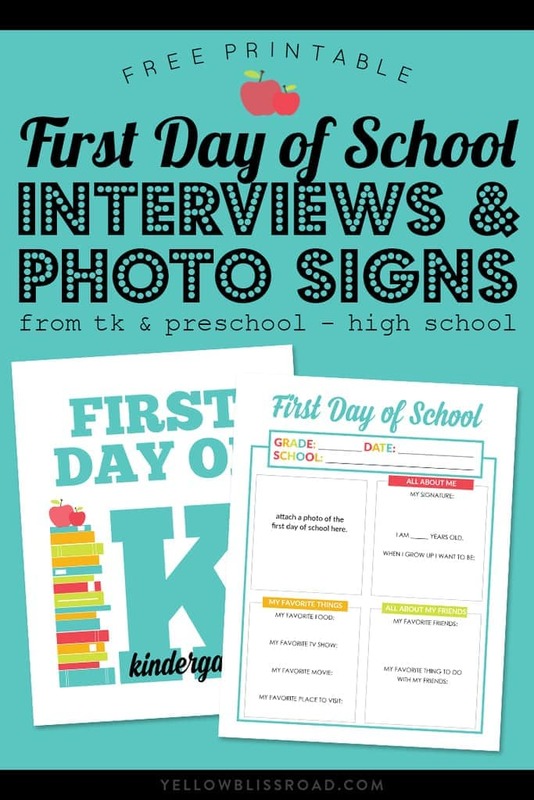 These printables are perfect for capturing that all important first day of school photo and they coordinate with the other back to school free printables I’ve been sharing over the past week. You can download any grade you need, from preschool and TK to high school…if they’ll let you. To download just what you need, click on the individual link below. Rather just download the entire set? Click HERE. If one photo just isn’t enough for you, you’ll want to download this printable checklist. There are lots of fun photo ideas for your kids’ first day of school. Want the matching All About Me Interviews? Find them HERE or by clicking the image below. For more kid friendly ideas, be sure to go here. For a tons of free printables, be sure to go here. I’m curious if you could make a last day of school questionnaire to match the first day of school?? 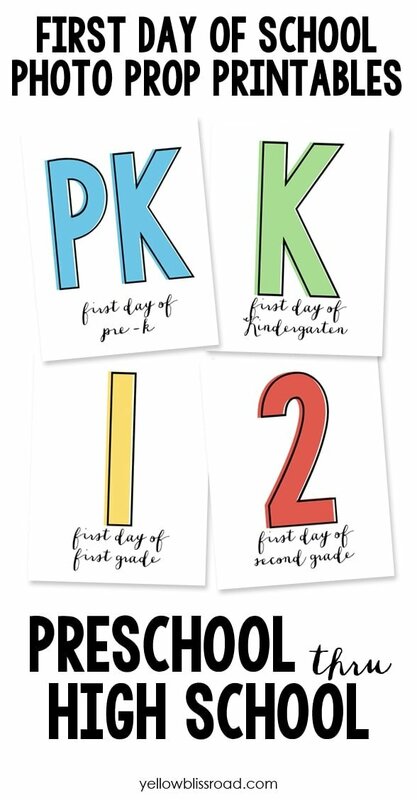 These back to school printables are amazing! 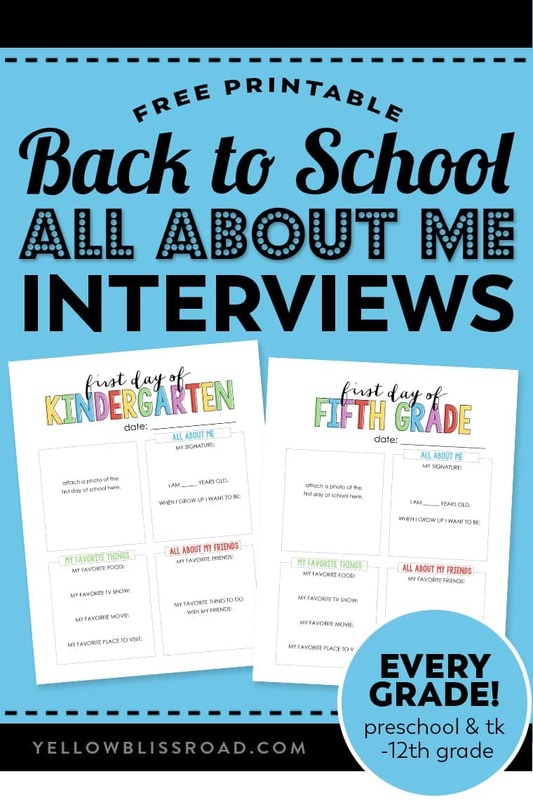 I am printing all of them as well as the interviews to start a tradition with my daughter who began preschool this week! We went and got a special binder to put it all in, but I thought it would be fun to have a matching cover page. Any chance you have one in the works? I don’t, but that’s a cute idea! Love the Photo checklist but it won’t let me print it, Goes to the “1” for 1st grade. Hi Dede, So glad you love the printables. Unfortunately I won’t be able to provide them in an editable format, as my copyright states they are not to be altered. Sorry! 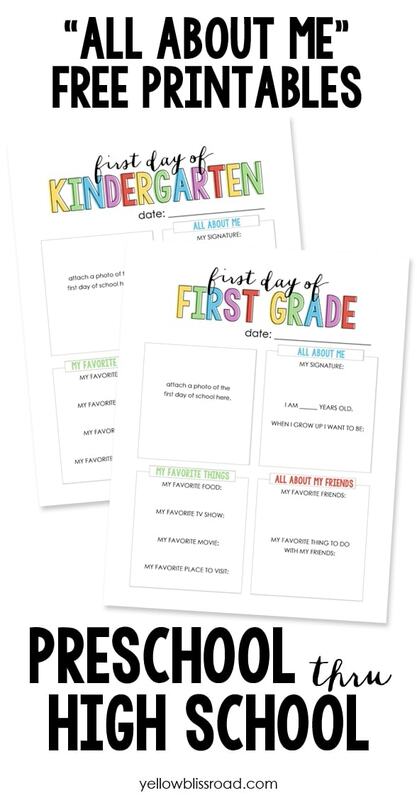 I love the Back to School Photo Props but when I try to download the 2nd grade one I get the Kindergarten! Thanks for letting me know – it’s fixed now!